Used on the skin it deep cleanses. Purifies and nourishes while naturally toning and firming. Yoghurt is one of the most nutritive foods in Ayurveda. Used on the skin it deep cleanses, purifies and nourishes while naturally toning and firming. This also contains Ayurvedic herbs and extracts with milk whey to keep skin supple and firm. 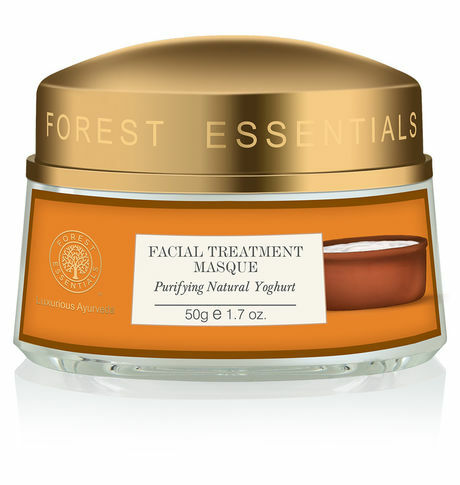 This Purifying Natural Yogurt Facial Masque is formulated with potent herbs and cold pressed organic oils. -Enriched with unprocessed Natural Yogurt this masque deeply cleanses, tones and improves the texture of the skin. The combination of natural herbs along with milk whey eliminates dead and dry skin cells leaving a smooth toned finish.